The Spring Sensory Series is a series of spring sensory activities, crafts and ideas you can do with your kids. I encourage you to follow us all spring and visit this Sensory Spring landing page to get the latest sensory fun for your kiddos. Every week there will be a NEW sensory activity. Be sure to bookmark or Pin this Post to find it easily! 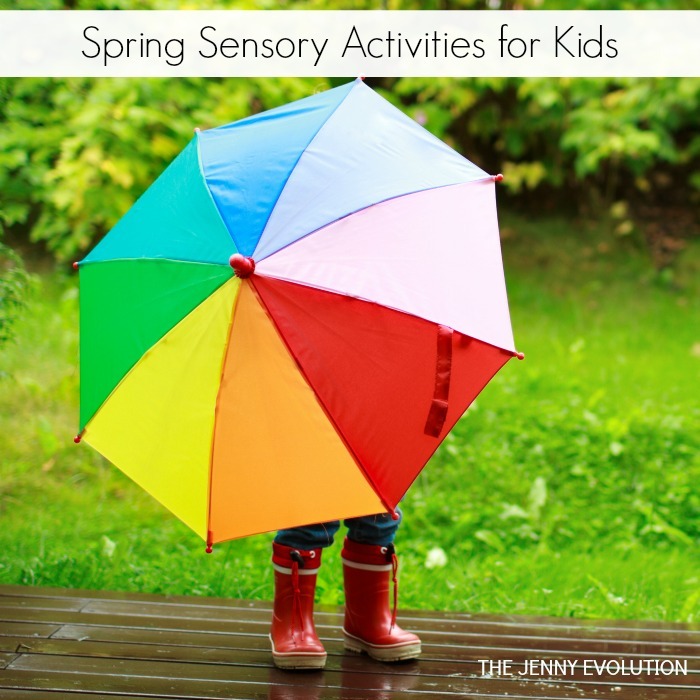 Why host a series of sensory activities you can do all spring? Because after the long winter, it’s time to wake up those senses to new experiences! Whether you use this series to help build your child’s sensory system or to help fulfill your child’s sensory diet due to Sensory Processing Disorder or Autism, you’ll find fun and easy sensory activities you can easily do at home. Sensory bins shouldn’t have to be complicated! You can make easy DIY colored salt in just minutes and then you have amazing materials for lots of sensory play. Preschool painting doesn’t have to get boring! Try painting with a twist and replace those paintbrushes with flowers. Making a rainbow salt sensory bin is really quite easy and perfect for the Springtime. One of our personal favorite Spring activities, that actually began as a way to help the earth, is having atactile outside sensory activity with worms. 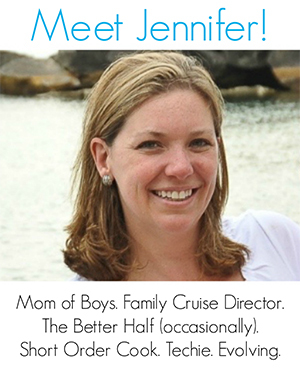 This post is part of a new sensory series hosted by The Jenny Evolution in partnership with The Sensory Spectrum. 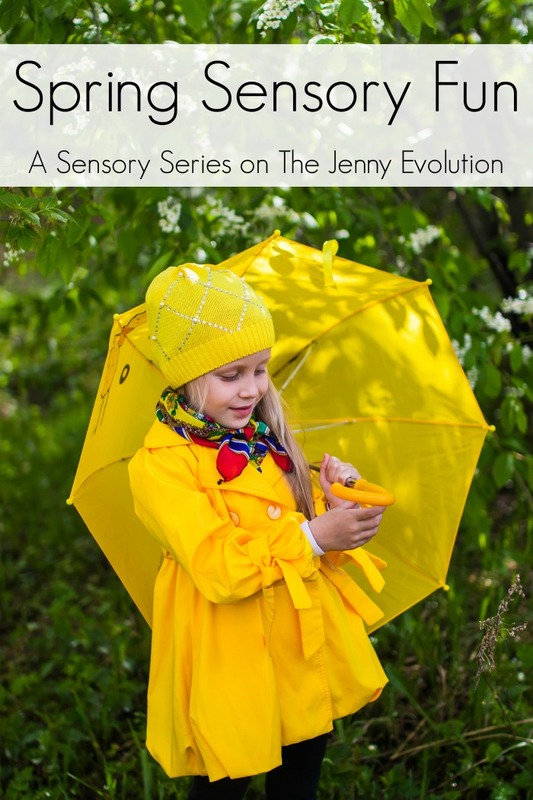 After this spring series is complete, watch for more creative sensory series from fabulous bloggers on The Jenny Evolution, including our Fall Sensory and Summer Sensory Series! 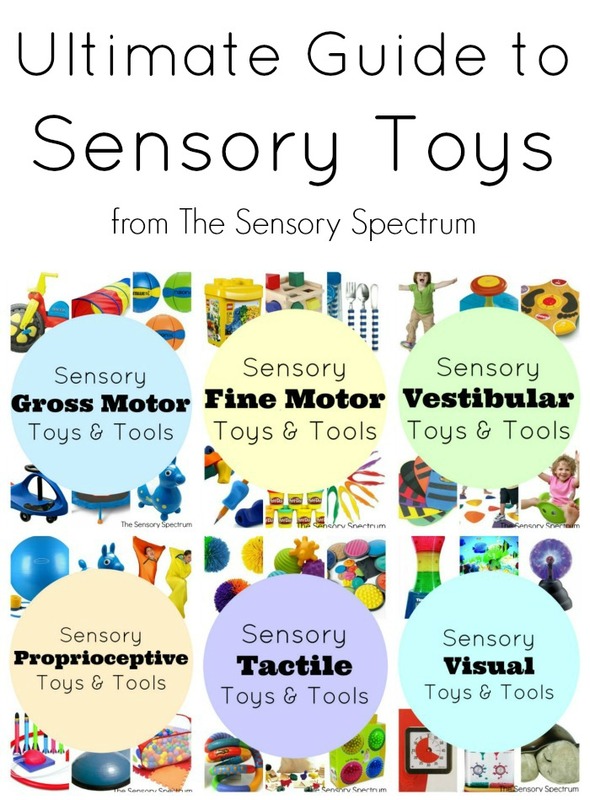 And while you’re working on your child’s sensory systems, you’ll probably want to find some great toys that keep on building those sensory systems! I’ve pulled together a complete guide to toys to help you find the best ones for your child, including Gross motor, fine motor, vestibular, proprioceptive, tactile, visual and oral.